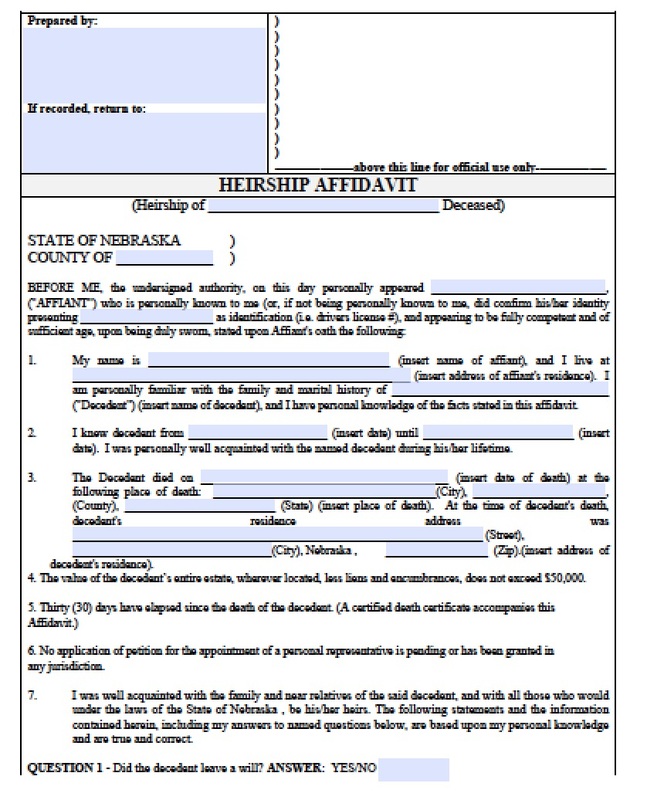 In Nebraska, the small estate affidavit allows successors to file for heirship of real estate property. According to Neb. Rev. Stat. § 30-24,129, real estate can avoid probate court if the value is $30,000 or less, and successors may file for ownership of the property 30 days after the decedent passes. 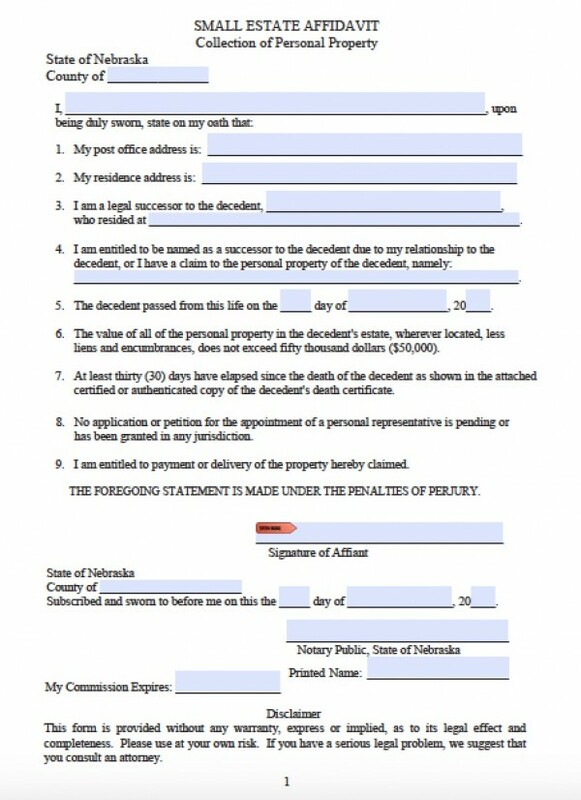 This is less encumbrances like the mortgage and liens.